For the woman whose gothic style must be all-encompassing, we offer not only a luxurious array of fabulous gothic jewelry, but also a tasteful selection of decadently dark and gothic hair accessories that are perfect for accentuating any womans gothic appearance. We feature several excellent options as far as gothic hair accessories are concerned. We have hair combs, hair clips, hair bands, hair sticks, and hair slides, and all of them feature gothic influence and styling. If you want bats in your hair, we can give you the gothic hair clips to put them there. Or if you would rather wear a dragons heart, there is a beautiful one on a gothic hair clip. Want ravens and feathers? That gothic hair band compliments any hair style. 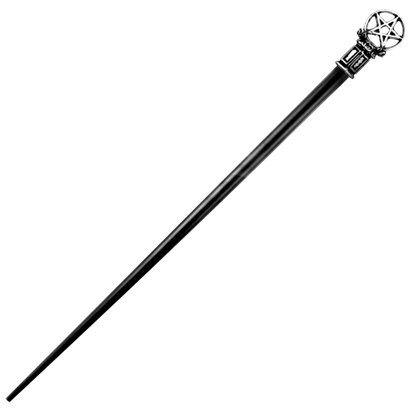 Or you can secure your hair with a beautiful black rose atop some stylish gothic hair sticks. 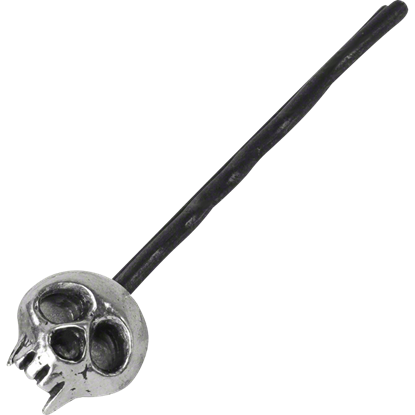 This and much more you will find here, in our gothic hair accessories section. Now, not all gothic appearances require your hair to be, shall we say, tamed or even styled, but for those moments that do, you will find all your gothic hair accessories here. Literal in its design, this Black Dahlia Hair Clip borrows the name given to gruesome unsolved murders of 1947 California. 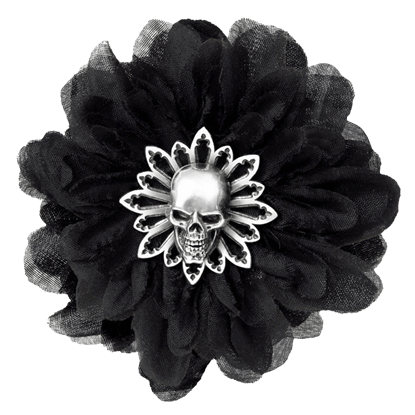 This gothic accessory features a floral appeal that is mixed with mortal remains in a gothic, elegant fashion. 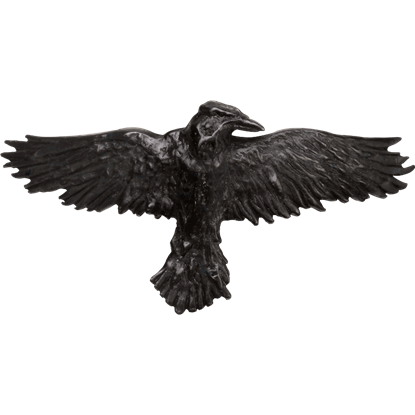 Scavengers of the battlefield dead, ravens have served as harbingers and omens of the future since ancient times. The birds symbolize knowledge and intuition, making the Black Raven Hair Clip a meaningful accent for any look. This boneheaded, hollow-eyed simpleton stares into the face of convention and confounded any curious onlookers. 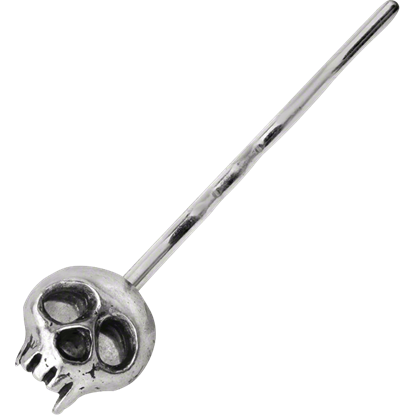 The Black Skully Hair Pin displays this human skull ornament on the end of a standard black bobby pin. A symmetrical pair of bats in flight, each with Swarovski crystal-studded wings, on a durable 20 mm, black plastic sprung clip. 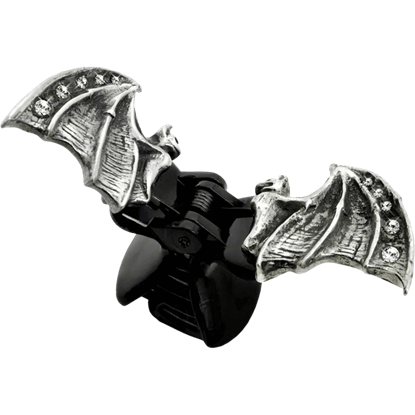 The Crystal Bat Hair Clip would make a great gift for any friend or family member. An elegantly writhing dragon of iniquity surrounding a crystal earth, this hair accent is a perfect way to add gothic and fantasy appeal to any look. 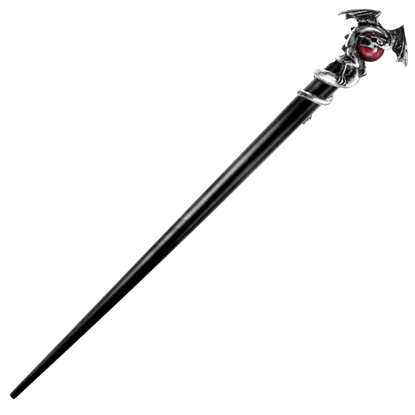 The Crystal Dragon Hair Stick would make a great gift for the woman in your life. 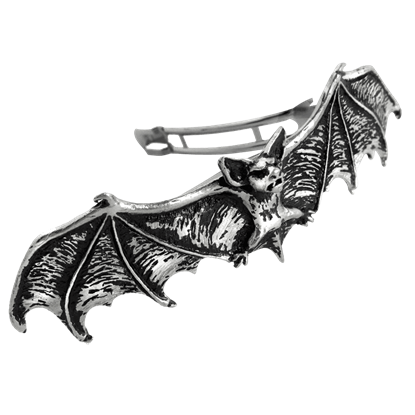 The Darkling Bat Hair Slide is a beautifully detailed hair piece made from fine English pewter. It shows off the shape of a bat, adding a touch of gothic and vampiric style that can easily be added to any ladies appearance. A fun way to show your darker style preferences, the Get a Grip Barrette makes a functional and fashionable gothic accessory. 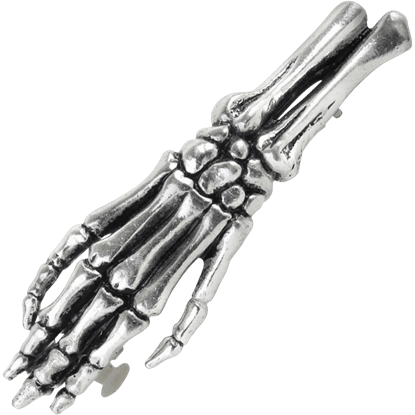 The gothic hair clip displays a bony, skeletal hand over the back of a sprung steel hair clip. These gothic beads are essential regalia for the well-appointed mute and pagan mourner. The Gothic Funereal Hair Beads Set includes three pewter beads that can be worn by stringing them along sections of hair or in a beard. 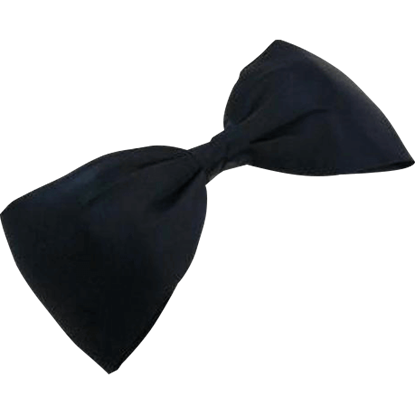 Whether you prefer to put up your hair in an intricate style or let it flow freely, you can enjoy the way this bow accessorizes your hairdo. 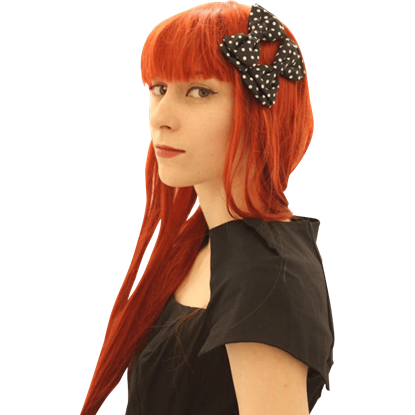 The Large Satin Bow Hairclip looks excellent with spring or summer dresses and ensembles. This boneheaded, hollow-eyed simpleton stares into the face of convention and confounded any curious onlookers. 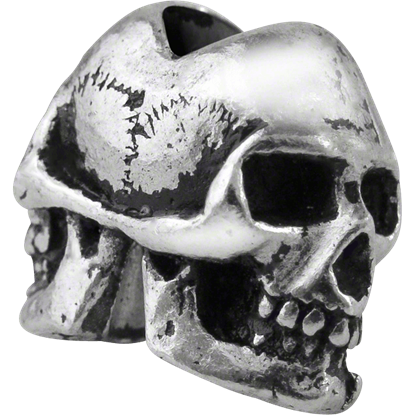 The Pewter Skully Hair Pin displays this human skull ornament on the end of a standard metallic bobby pin. Create a fantastic vintage ensemble when you pair these charming hair bows with a polka dotted dress or skirt! The Retro Satin Polka Dot Bow Hairclips make a great accessory for a flattering, feminine appearance.